We sometimes get customer emails exhibiting some great work. Here is one that popped in today that we felt was too good not to share. We were also really impressed with the creator Leo Zelios, since, not only is he a passionate enthusiast, he also has only 2 months experience under his belt. 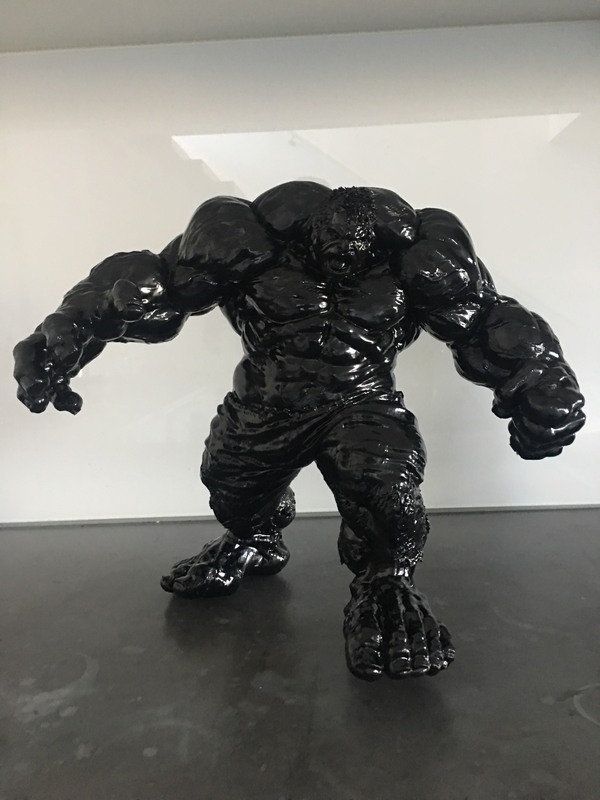 The model was obtained from; https://www.myminifactory.com/object/3d-print-hulk-26029 Credit also goes to the model creator! 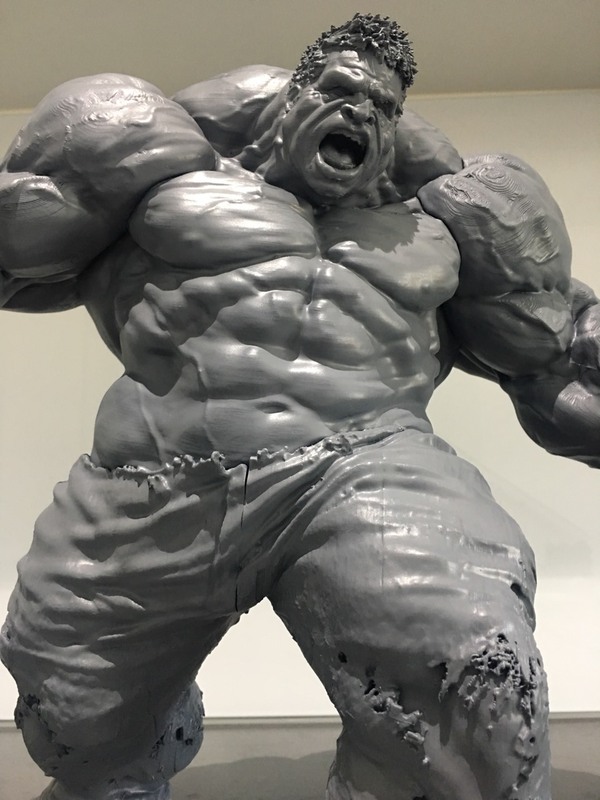 The Hulk was resized 800x (about 40cm) and printed at 0.28mm which you would not believe by looking at the final product. It was also printed in 3 pieces for several reasons but one of which was to minimize on excess support wastage. 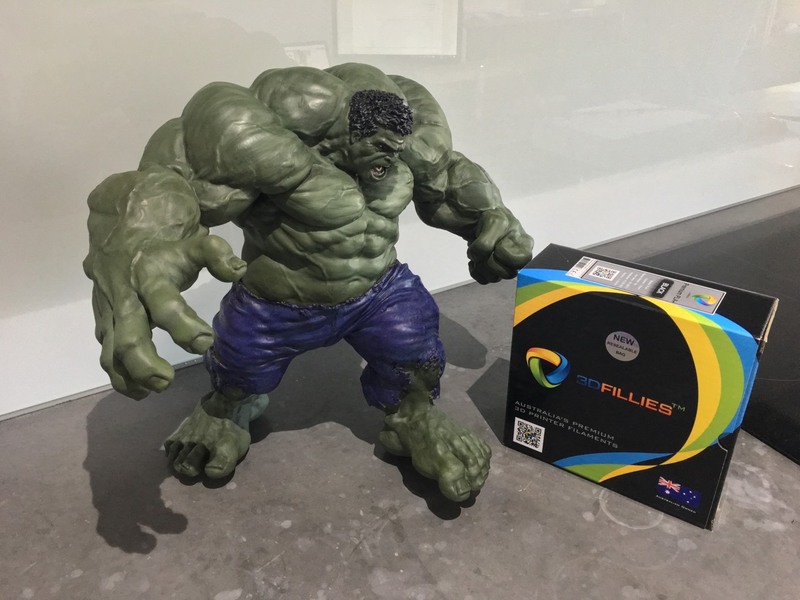 It was also printed exclusively with 3DFillies PLA+. - After the model was printed, the parts were glued together. - A coat of Epoxy Resin was used to fuse the shell giving it that amazing gloss finish (below). - Following this, an Acrylic Primer was applied (below). - Then Acrylic Spray, Putty, and then Sanded. Repeated..... 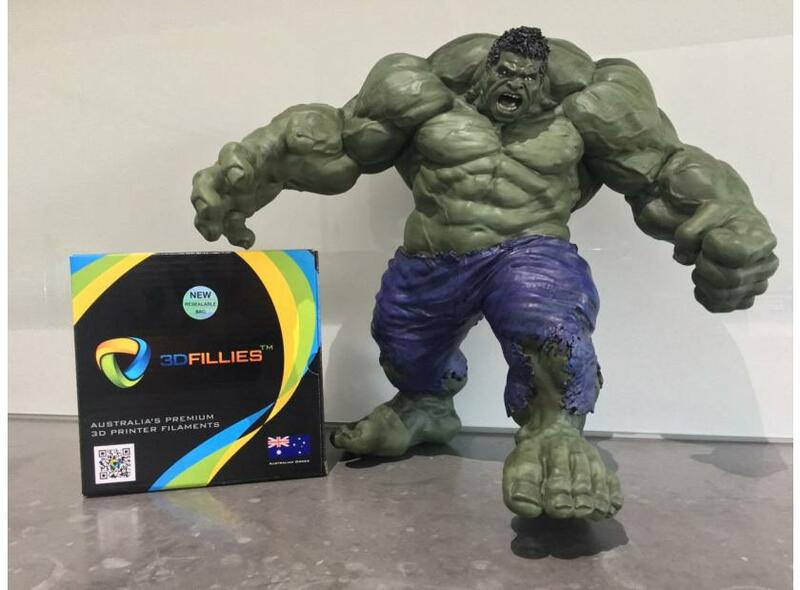 Given the detail of the Hulk, this must have taken ages of meticulous work. - The final paint was carefully applied using citadel paints. This is really great work. PLA+ has already generated quite a fan base. Despite the additional strength not practically required for the object above, one of the benefits is its relative ease to sand back. PLA, for anyone that has done this in the past, tends to give you early RSI when you want that smooth finish. It also was a pain when sanding back detailed objects as it was hard to repeatedly work over a non-uniform surface uniformly. PLA+ sands a lot easier. Some tips to sanding with sandpaper. - Start with coarse and work to fine sandpaper. Coarse sandpaper is lower numbers like 40, 60 and 80 while finer papers are high numbers like 400. Whilst you don't need to go up in heaps of stages each time, it is always best if you can go up in 3 or more stages. - Always work in a circular path (if possible) as the human eye has a tendency to latch onto straight lines and going in one direction could lead to someone's eye being drawn to the direction the sandpaper was used. - Wear gloves, I suspect your hands are not the ones that need sanding. - Wear a breathing mask and eye mask. Yes, I know what you're thinking "Yeah yeah of course, but it's only a small job". My only closing statement is that your health is more important than any object you could ever print. We'd love to see more customer work in future so please don't hesitate to share it with us (though we can't guarantee it will be posted). © 3DFillies™. All Rights Reserved.